Quarterback who made his NFL debut in 2009 for the Atlanta Falcons. 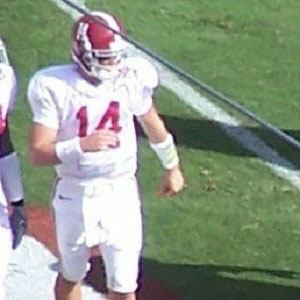 He had a standout career at the University of Alabama, where he set the school record in all major passing categories. In high school he quarterbacked two state-championship teams. He was born in Montgomery, Alabama, near where he played college football. In his final years at Alabama he played for coach Nick Saban.